How to Get USA Green Card in 2016. The USA Green Card is issued to immigrants who have been given permission to live in the country on a permanent basis. This is the first step towards gaining citizenship of the United States and can be applied for under several categories. If you are a green card holder you can enjoy many benefits that a standard visa or work permit cannot give you, including permission to work in a greater range of employments, receipt of social security benefits upon retirement, reduced cost of university tuition fees, equal rights under most US laws, a legal right to own property and any other assets within the United States as well as better access to financial products such as insurances and mortgages. The green card does not give the holder the right to vote in American elections however, as this right is reserved for citizens. 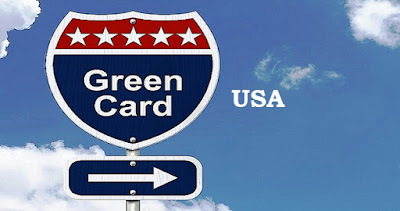 Only some people are eligible to apply for a US green card, and any applicant must fit within one of the stated categories in order to be accepted. First - workers with extraordinary skills and abilities such as talented professors and researchers. Asylum seekers and refugees can apply for a green card after being resident in the country for a year. There are some other programs that can be followed by those looking for a green card including the Diversity Immigrant Visa Program, Special Immigrant Juvenile Status and people who have been born to a foreign diplomat in America. More can be found out about these minor categories on the USCIS website. If you are eligible to apply, you will want to know how to get USA Green Card in 2016. The first step is to complete the relevant form for your application. This will be an immigrant petition form which outlines the reasons why you should be given permanent residency. There are different forms for different categories, e.g. The I-130 is a family application while an I-140 is for employment status. Depending on the category being applied under, you may have to submit an application for an Adjustment of Status at the same time. There are only a limited number of visas available every year (except for immediate relatives of citizens) so your application will be processed according to priority date (the date of submission), the category you are applying under and your home country. You will usually also be required to submit relevant paperwork to prove your qualifications, financial circumstances and possibly your health status. You must also prove that you are admissible to the United States, as some people are excluded under grounds of criminal record, health or other security grounds. If you are inadmissible, you may be able to apply for a waiver in some circumstances. Once all your paperwork has been received you will attend an interview and security checks will be carried out on you. Following this, the USCIS will make a decision about your application and inform you of the outcome.